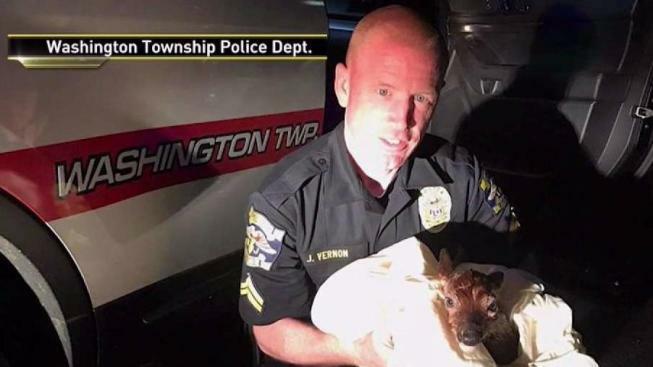 A New Jersey police officer saved a fawn by performing an emergency C-section after the baby deer’s mother was hit by a car. Animal control officer Robert Lagonera was called to the scene of a doe that had just been hit by a vehicle around 3:30 a.m. on Sunday, the Washington Township Police Department said in a Facebook post. The doe passed away, but still had a moving fawn inside of her, Lagonera said. Photos posted on the department’s page show the newborn fawn wrapped in a blanket. While he was attending to the fawn, Lagonera learned that a horse was on the loose not far away, he wrote. The two officers managed to coax it back into its paddock before they shifted their attention back to the fawn.